"In-depth interviewers and focus group moderators typically work from an outline of relevant topics and questions that guides them through the interview or discussion. The guide is intended to be just that, a guide, and not a strict, prescriptive document. 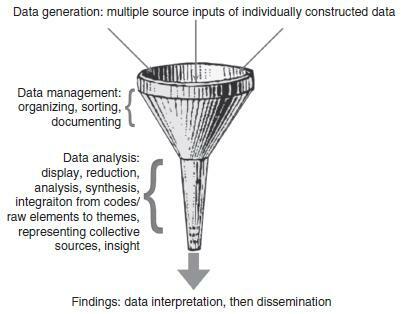 With the guide, the ultimate goal is to enable the interviewer or moderator to efficiently incorporate all of the issues that are important to achieving the research objectives. Maintaining clarity throughout the interview or discussion on the related issues is actually a more essential purpose of the guide than the actual questions or follow-up probes it may contain. 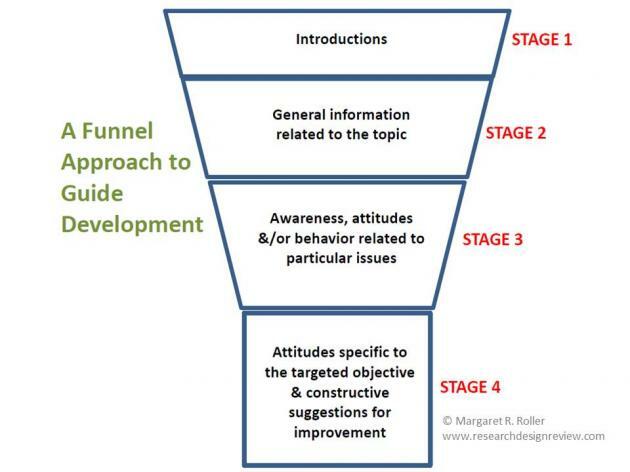 The most typical and effective approach in constructing an interview or discussion guide is to begin broadly and progressively narrow the topic area to the subject matter of greatest importance to the research objectives, i.e., a 'funnel' approach."